The public debate of the glasnost era created an environment conducive to the reawakening of civil society. A civil society is one in which interest groups can assert themselves and can make the state respect their rights. The introduction of glasnost led to the broadening struggle of the independent movement against the administrative system. Civil society soon revealed many aspects and represented many independent groupings and interests, including the nascent entrepreneurial class, freedom of expression, religious freedom, and a multitude of other forces that were suppressed after October 1917. In the more liberal atmosphere of glasnost these diverse interests revived, signaling a growing autonomy of society from party-state structures. What was particularly remarkable about Gorbachev’s period and clearly marked a new departure was the toleration of ideological and political activity independent of the authorities. Citizens were allowed to organize into political parties, popular movements, parliamentary oppositions, and so on, and all this was dramatically changing the political landscape. The new forms of civic activity were building links between civil society and the state and acted as primary schools of democracy by training leaders and structuring politics. Before perestroika, dissent had been driven deep underground and had been confined to the activities of small circles of like-minded friends. In the summer of 1986 in cities across the country these groups began to legalize their activities and amalgamate into larger political debate societies. These were set up in major cities, including Moscow, Vilnius, and Riga, and were often called “clubs of public initiatives” or “clubs of socially active citizens.” These developments became possible following the authorities’ decision to stop arrests on political grounds and to begin the release of political prisoners. 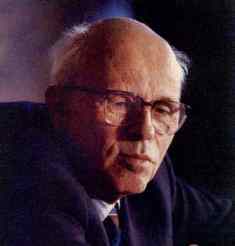 Among others, Andrei Sakharov, the dean of the Soviet dissident movement, was allowed by Gorbachev personally to return to Moscow from his internal exile in a closed city on the Volga. For the first time in decades the Soviet regime tolerated organizations standing outside the party-state structures and engaged in independent political activity. So novel were unsanctioned organizations to the Soviet Union that in the Soviet and foreign press of the glasnost era they quickly earned the name of “nonformal” organizations, and their members were referred to as neformaly (“nonformals”). The debate clubs aired a variety of political, environmental, and nationalities issues, and their activities were mainly informed by the desire to rally support from below for the reform initiatives of the Soviet leadership. Most of these groups described their ideological leanings as democratic socialism, but some anti-Communist groups also began to take part in political discussions. Most of the leaders and activists of the new political parties that would emerge by 1990 were initiated into politics as neformaly. By the spring of 1988 the membership of all nonformal organizations taken together was no more than several thousand, including several hundred activists. Clearly, in a country the size of the Soviet Union, their collective voice was too weak to alter the existing political system. But their activities had prepared for the rise of mass popular movements that would have enough muscle to bring about fundamental political change.